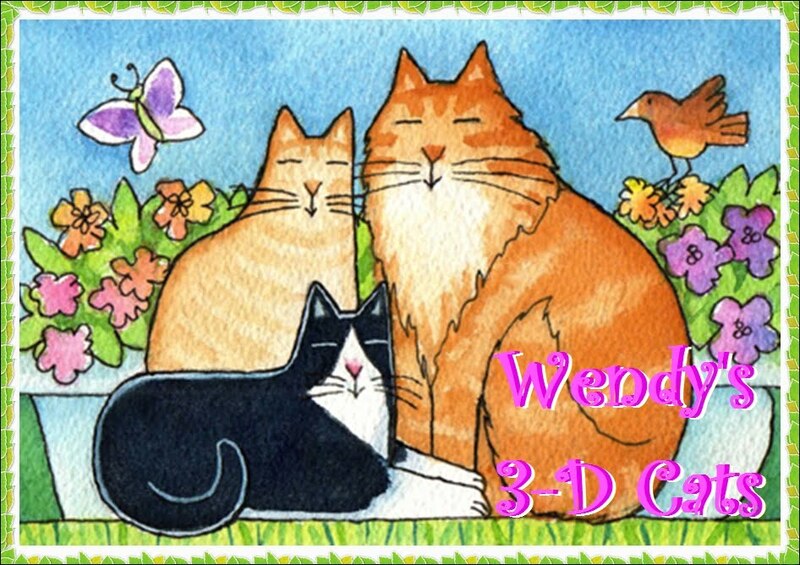 Wendy's 3-D Cats: DYLAN'S ON THE CUTTING EDGE! 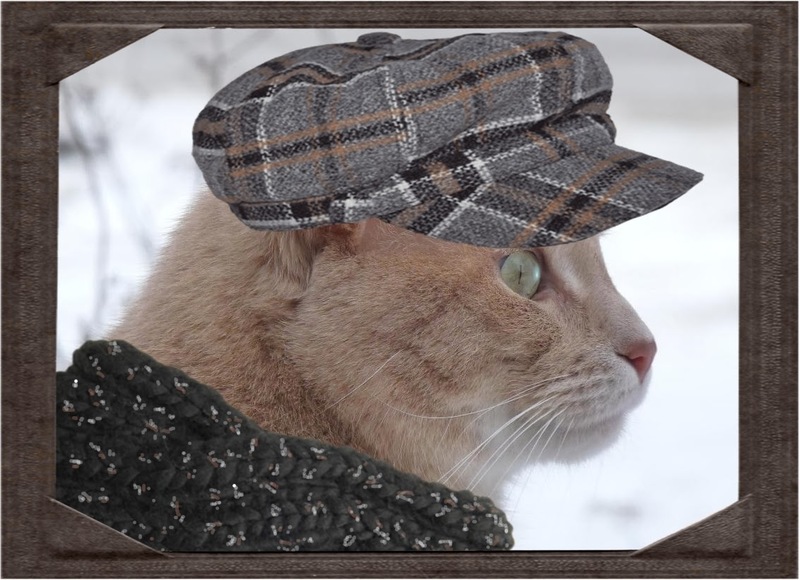 When it comes to mancat winter fashion, Dylan is your 'go-to guy'! 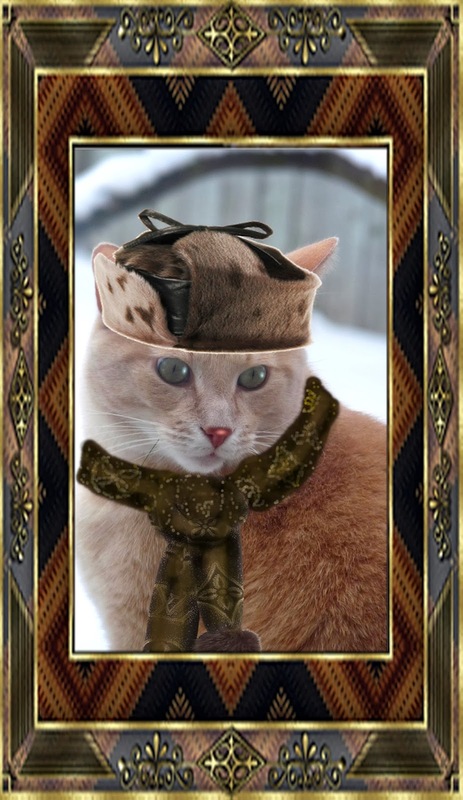 After all, he's by far the most stylish mancat on-the-go. Not to mention his ego. It's quite large actually. Here is Dylan in a brown and tan trapPURR hat with a brown and gold Louis Vuitton scarf with pompoms. The hat has flaps to keep your ears warm, but Dylan is rather vain and preFURS to keep them on top of his head where he thinks they belong. Newsboy caps are back in vogue bigtime! This PURRticular style really 'peaks' Dylan's interest. You can see it on his face. This wool cap comes in various plaids; this one a gray with black, white and tan woven in. This was Dylan's preFURence because the tan stripe matches his complexion. He has paired it with a wool knit scarf in charcoal flecked throughout with tan and white (after much reflecktion, I might add). And speaking about the 'cutting edge', here is Dylan in a winter outfit which is REALLY 'out there'! 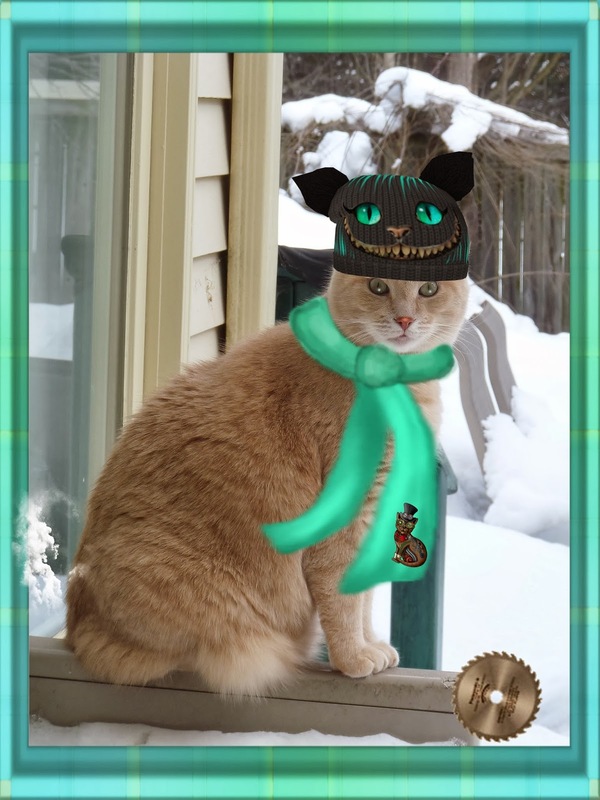 His brown knit hat with the Cheshire cat smile is truly avante garde, and he has matched it to a teal scarf adorned with a steampunk cat for an even edgier look. You might notice that Dylan has produced some steam of his own. After all, if you're on the cutting edge anyway, you might as well 'cut one'! I've got ::cling cling:: fsssss steam heat. 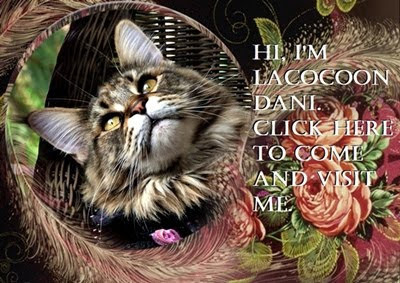 No offence, Dylan, but when it comes to steam, I'd just preFUR a good cup of CATpuccino!